What do you think? Do you like the stylistic change? I think the new covers fit the mood of the story extremely well. I loved the original hardback cover but I love the new ones too! I think it does fit the mood a little better. Can't wait to get my hands on it! I bought the first one as an impulse, totally based on the cover. And the fact that I love the whole mermaid thing. I LOVE the paperback one too! It's even more eerie with them all standing there on the rocks like that. 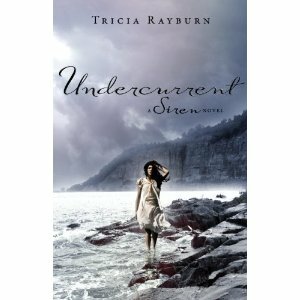 Looking forward to Undercurrent! 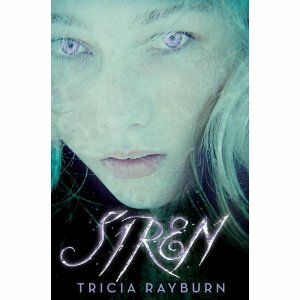 I think the new cover fits Siren much better in both mood, and the actual story. The new ones both look a lot like how I pictured the town too. Nice repackaging with these! Ooh, I love all of these--especially the different fonts. And the grays and blues are gorgeous--my favorite colors! Oooh, I like them all. I so need to write a book near an ocean, so I can have amazing covers like this. 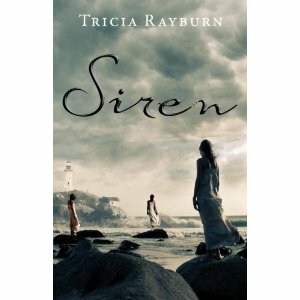 I really liked the first SIREN cover, but after reading it, I think the new ones fit better. The first didn't convey how spooky it was. I loved it!! I'd be hard pressed to choose between the two - I thought the original cover was pretty awesome. I think all the covers are beautiful and haunting. I like the close up shot, it draws you right in, but I like the mystery of the far away shots. I also like the font on the new covers.